Acclaimed poet Jane Miller will give a reading at a Michener Center for Writers event on Tuesday, march 20, 7:30 to 9 p.m. at the Peter O’Donnell Jr. Building (POB), Avaya Auditorium (room 2.302). Miller is the author of the poetry volumes Thunderbird, A Palace of Pearls, Wherever You Lay Your Head, Memory at These Speeds: New & Selected Poems, August Zero, and American Odalisque, all from Copper Canyon Press. 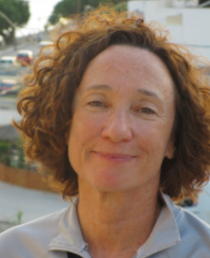 Her honors include fellowships from the NEA and the Guggenheim Foundation, and she serves as adviser and jurist to numerous distinguished national book and poetry prizes. Who Is Trixie the Trasher? and Other Questions is forthcoming. Miller is the Michener Center’s visiting poetry faculty this semester. 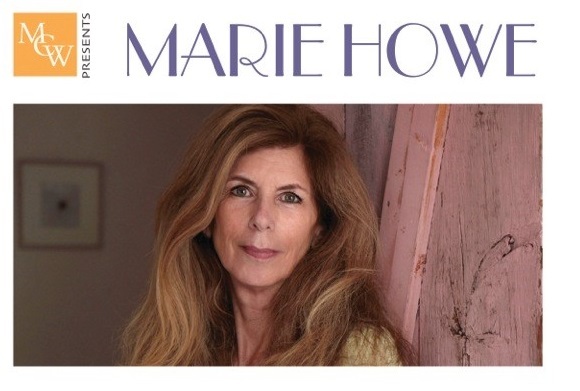 The Michener Center for Writers will host a reading by poet Marie Howe on Thursday, November 2, 7:30 p.m. in the Avaya Auditorium (POB 2.302). 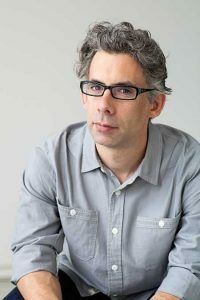 Howe is the author of four award-winning volumes of poetry, most recently Magdalene, a finalist for the National Book Award in Poetry this year. Parking is available in the nearby UT San Jacinto Garage, and the event is free and open to the public. For more information, contact Marla Akin, Michener Center for Writers assistant director, 512-471-8444. This month, award-winning author Bret Anthony Johnston has assumed the directorship of the Michener Center for Writers, one of the most selective and prestigious writing programs in the country. 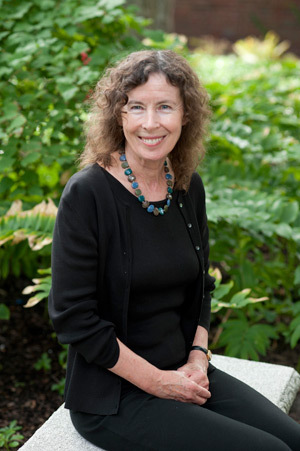 Johnston has directed the creative writing program at Harvard University for the past 12 years. A native Texan, his fiction titles include the story collection Corpus Christi and the novel Remember Me Like This. 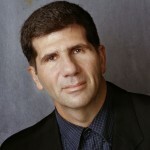 For the past 12 years, he has directed the creative writing program at Harvard University. A serious skateboarder for over 30 years, he also wrote the documentary film about the sport, Waiting for Lightning, which was released by Samuel Goldwyn Films and premiered at Austin’s SXSW. Johnston was born and reared in Corpus Christi, Texas, and attended Miami University and the Iowa Writers’ Workshop. His many honors include a National Endowment for the Arts Literature Fellowship, a “5 Under 35″ honor from the National Book Foundation, the Glasgow Prize for Emerging Writers, and both the Stephen Turner Award and Kay Cattarulla Prize from the Texas Institute of Letters. 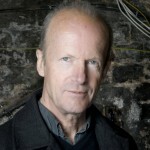 Most recently, he won the $30£ Sunday Times EFG Award, the world’s richest and most prestigious prize for a single short story for his “Half of What Atlee Rouse Knows about Horses,” originally published in American Short Fiction. Johnston replaces outgoing director James Magnuson who retired in May after 23 years at the helm of the Michener Center. Magnuson was responsible for bringing the program from its inception to national prominence among MFA programs. 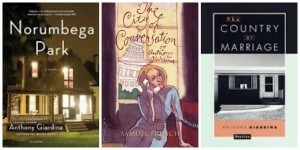 The Michener Center for Writers is a three-year interdisciplinary Master of Arts program. Admitting fiction writers, poets, playwrights, and screenwriting for fully-funded graduate study, it was created by a $20-million endowment from James A. Michener, philanthropist and author of over 50 books. Visiting professors, Jim Crace and Anthony Giardina, will be reading and discussing their literary works at a campus event hosted by the Michener Center for Writers on Thursday, Dec. 3 at 7:30 p.m. in the Aces Avaya Auditorium, POB 2.302. 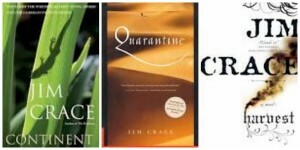 Crace’s ten books to date have received such honors as the Whitbread Novel Award and the National Book Critics’ Circle Fiction Award (Being Dead). His books Quarantine and Harvest have been shortlisted twice for the Man Booker Prize. His archive resides at the university’s Ransom Center. 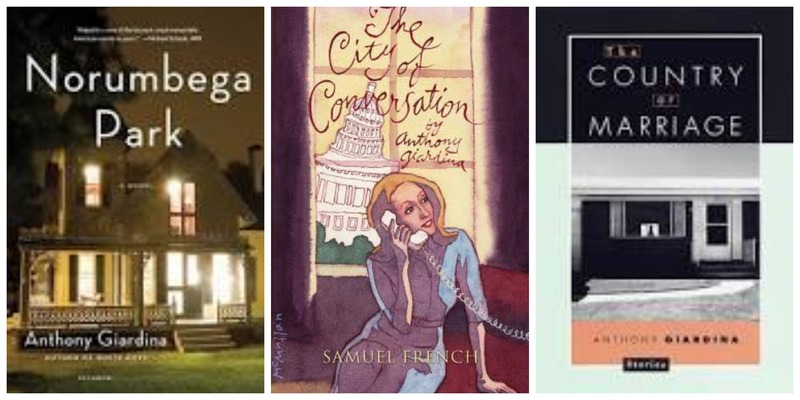 Anthony Giardina is the author of five novels, a story collection, and numerous plays, most recently City of Conversation, which has its world premier at Lincoln Center last year. Parking is available in the nearby UT San Jacinto Garage, and the event is free and open to the public. The UT Michener Center for Writers and the Bullock Texas State History Museum will jointly sponsor a conversation between Michener Center alum Philipp Meyer, author of The Son, and Don Graham, J. Frank Dobie Professor of American and English Literature at UT Austin and legendary scholar of Texas literary history. Their free talk, at 7:00 p.m.Thursday, February 19 at the Bullock, will explore how Meyer’s five years of research led to the prize-winning novel, how Texas mythology and history shaped the story, and how a transplant from Baltimore came to write one of the Great Texas, and Great American, novels. 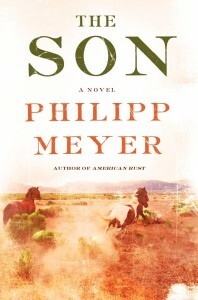 Meyer received critical acclaim for his 2009 debut novel, American Rust, and The Son, published in 2013, was a finalist for the 2014 Pulitzer Prize and named in the Top Ten lists of the Washington Post, Amazon, Toronto Globe and Mail, USA Today and Chicago Tribune, among many other honors. The New York Times said of the book, “only in the greatest historical novels do we come to feel both the distance of the past and our own likely complicity in the sins of a former age. To that rank, we now add ‘The Son. '” Meyer was first introduced to Texas novelists such as Cormac McCarthy and Larry McMurtry—as well as to pivotal events in Texas history that inform his story—in a graduate seminar with Graham while earning his MFA at the Michener Center for Writers. The program is part of the Bullock Museum’s Texas Art and Culture Series, which is generously supported by Lone Star Beer, the national beer of Texas. The event is free of charge and open to the public. The Bullock is located at 1800 Congress Avenue at W. MLK Blvd. Acclaimed poet August Kleinzahler will present a reading at a campus event hosted by the Michener Center for Writers on Nov. 6, 7:30 p.m. in the Avaya Auditorium, POB 2.302. Kleinzahler’s impressive body of work is a hybrid of high and low influences, mixing street-smart language and articulate cultural references with his unique brand of hard-boiled whimsy. His outsider stance has also gained him a reputation as a literary bad-boy, the “pugilistic poet,” duking it out with both pop culturists—somewhat famously, Garrison Keillor, over his folksy “Good Poems” anthology—and academics alike. 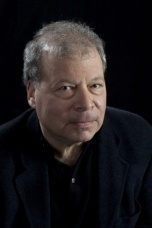 Kleinzahler’s literary fame has built steadily over four decades. He published a handful of poetry books with independent presses before New York publisher Farrar Straus & Giroux picked up his 1995 “Red Sauce, Whiskey and Snow.” They have published his last six books, as well as revived earlier work in new editions. The event is free and open to the public. Parking is available in the nearby UT San Jacinto Garage. The UT Michener Center for Writers will host a reading by acclaimed poet Lucie Brock-Broido on Thursday, October 16, 2014 at 7:30 pm in the Avaya Auditorium, POB 2.302, on UT campus.The event is free and open to the public. 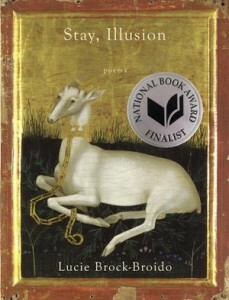 Brock-Broido’s newest collection, Stay, Illusion, was a finalist in Poetry for the 2013 National Book Award. Her previous collections include Trouble in Mind, The Master Letters, and A Hunger. Her poetry has appeared in many magazines and literary journals including The Paris Review, Parnassus: Poetry in Review, The American Poetry Review, Poetry, The Nation, The New Republic, Best American Poetry, and The New Yorker. Director of Poetry in the School of Arts of Columbia University in NYC, she is also the recipient of a Guggenheim Fellowship, NEA support, and the Witter-Bynner Prize from the American Academy of Arts and Letters. The UT Michener Center for Writers will host a reading by acclaimed author Zadie Smith on Thursday, March 27, 2014 at 7:30 pm in the Blanton Auditorium on UT campus. The reading is free, requires no tickets, and is open to students and the public, but seating is limited to 300. Zadie Smith, born in London in 1975 to an English father and Jamaican mother, made a stunning literary debut in 2000 with White Teeth, which was praised internationally and won numerous first book awards. Her third novel, On Beauty, won the 2006 Orange Prize and was shortlisted for the Man Booker, and her latest, NW (for the London postcode area in which she was born and still resides), was named one of the New York Times’ Best Books of 2012. Granta magazine has twice listed her in its “20 Best Young British Novelists.” She divides her time between London and New York, where she on the Creative Writing faculty of NYU. The Blanton Auditorium is located in the Edgar A. Smith Building in the Blanton Museum complex at MLK and Congress Avenue. Parking is available in the nearby Brazos garage. The University of Texas at Austin Michener Center for Writers will host a reading by our fall 2013 residency author, COLM TOIBIN, on Thursday, September 19, 2013 at 7:30 pm in the Avaya Auditorium, POB 2.302. Toibin, a native of Ireland, is the author of two novels shortlisted for the Man Booker Prize, Blackwater Lightship and The Master, as well as Brooklyn, 2009 Costa Novel of the Year, The Empty Family, a collection of stories, and The Testament of Mary, adapted to stage on Broadway this past year. He is as well a prolific essayist and journalist. The Peter O’Donnell building, formerly known as the ACES building, is on the southeast corner of 24th and Speedway on UT Campus. Parking is available in the nearby UT garage at San Jacinto and 24th.